Why not get steamy with Marble Construction with the ultimate party and relaxation feature of a hot tub? There are many types and can be custom sized to be tailored to the customer’s wishes. Different features for personal spa rooms include jets, whirlpools, towel racks or even a sauna instillations and the best thing of all is that usually no planning permission is required. For authenticity, many choose a pine construction out-house as it is not only a lower cost, but also resistant to damp and water damage. 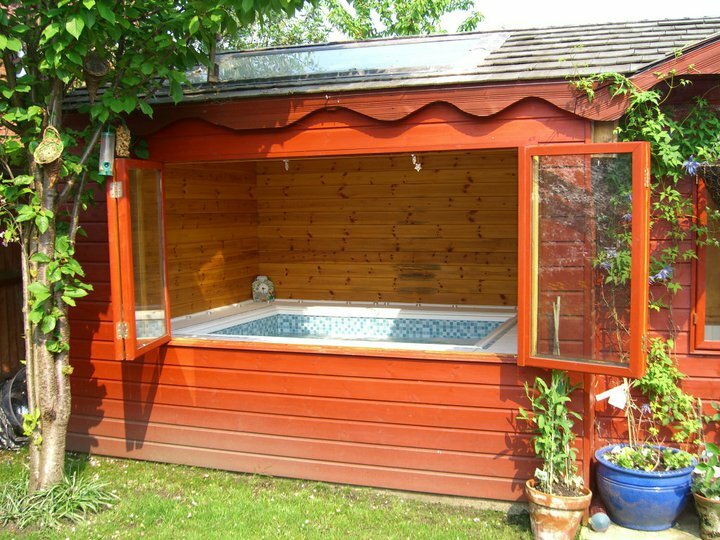 However a hot tub can be fitted nearly anywhere, from in the garden to in the existing property. This Marble customer in Farnborough wanted a place where the kids could have friends round but would also double up as a relaxing space for themselves as well, the customer assured us the hot tub is a big hit with all generations. There are more than three million hot tubs in homes in the UK, so to join the list of relaxing Brits, contact us or call us at 0844 813 1111 for a free survey and quote. The hot tub ready and waiting for its owners. Farnborough.